Sunday, Sunday, Sunday! Jason Schreier and I (Kirk) are going to spend the day streaming video games from my place in Portland. 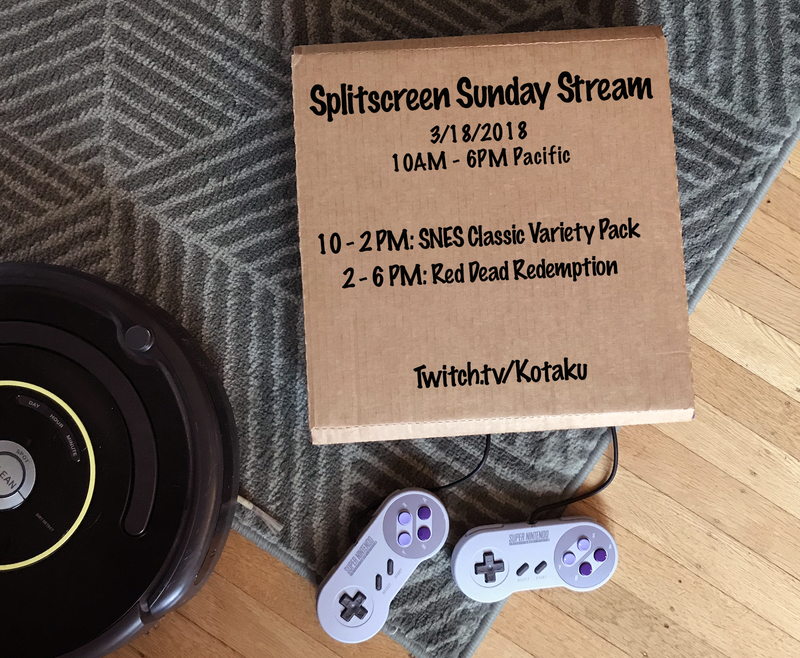 Schedule is above; tune in to the Kotaku Twitch channel to watch.